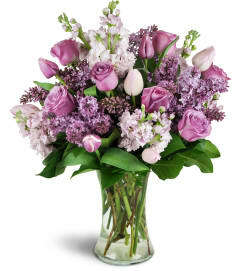 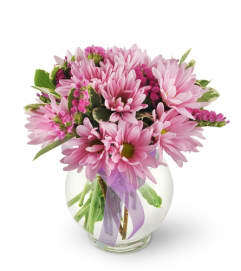 The FTD® Fall Frenzy™ Bouquet is set to create harvest happiness wherever it may be sent! 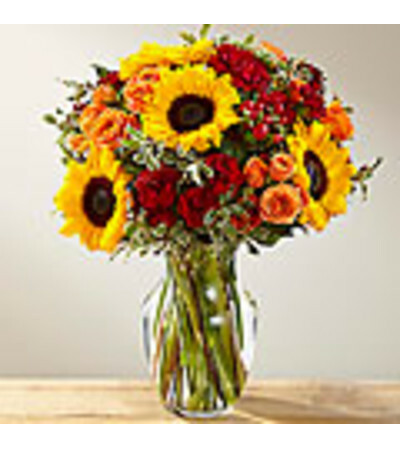 Bold and beautiful, this bouquet showcases an array of fall color, bringing together eye-catching mini sunflowers, burgundy mini carnations, orange spray roses, and red hypericum berries, accented with lush greens. 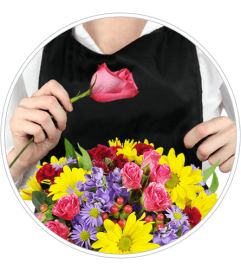 Presented in a clear glass vase, this stunning fall flower arrangement is set to send your warmest wishes of love and gratitude to your favorite friends and family in honor of Thanksgiving, as a way to express your thanks and gratitude, or in celebration of a fall birthday.